Manohar Parrikar said he would look at increasing margin of victory in upcoming Panaji by-poll. Panaji: Announcing that he would not leave state politics for a central role again, Chief Minister Manohar Parrikar on Thursday also expressed confidence at winning the Panaji legislative assembly by-poll. "There is no question of me quitting state politics again. I have been sent to run the state government. 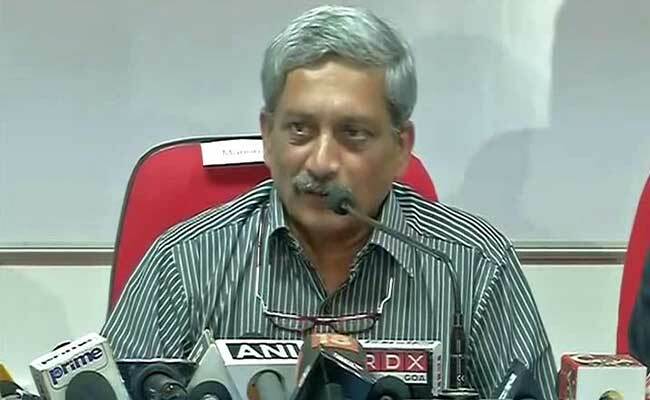 And the government is running smoothly," Mr Parrikar told reporters in Panaji. Mr Parrikar said he would look at increasing the margin of victory in the upcoming by-poll, which has been necessitated by his return to state politics from his position as Defence Minister in March this year. Asked about his thoughts on the upcoming by-poll, Mr Parrikar who is currently a Rajya Sabha MP from Uttar Pradesh, said that he planned to up the margin of victory significantly. "Currently the margin (of victory) is eight per cent. I want to increase it to 30 per cent," Mr Parrikar said, adding that he would not leave state politics again. In November 2014, Mr Parrikar, who was Chief Minister then, was elevated to Defence Minister in the Prime Minister Narendra Modi-led cabinet. He returned to state politics in March, after the BJP managed to claim numbers to form a coalition government, despite emerging as the second largest party after the Congress. Panaji BJP MLA Sidarth Kunkolienkar resigned from legislatorship on Wednesday to pave the way for the by-poll.